Quadra-Fire Wall Control - Advanced Energy Models. Certified OEM Replacement Wall Control for the above models - Only compatible with these units. This is the brain box that communicates with the mother board controlling all aspects of function and operation. 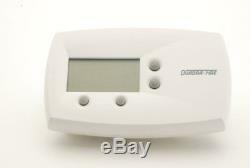 7 Day Programmable Heat Settings. Genuine HHT / Quadra-Fire OEM Part. Over 25 years of trusted value and commitment to our customers. The item "Quadrafire Mt Vernon AE Edge 60 Wall Control Programmable Thermostat SRV7000-549" is in sale since Thursday, November 23, 2017.